Directorate General Factory Advise, Service and Labours Institutes, Ministry of Labour and Employment, Govt. 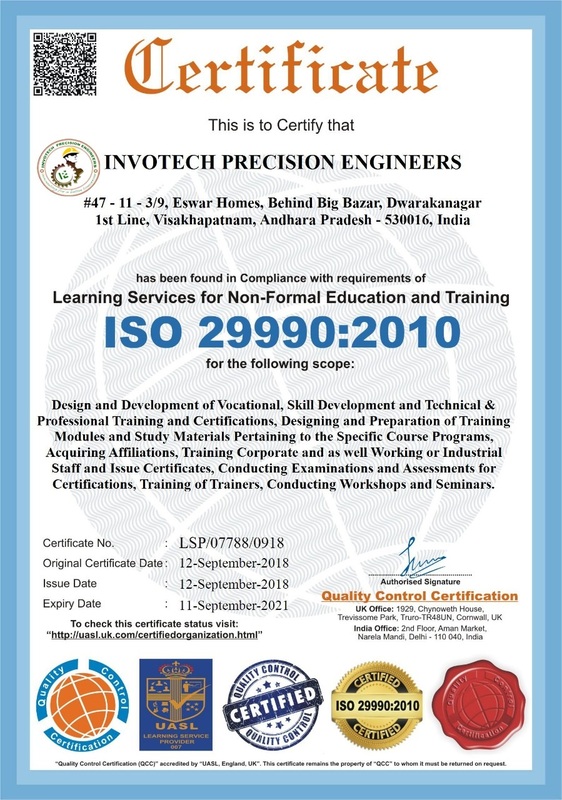 of India Invotech has been awarded India’s most prestigious approval of DGFASLI for Conducting ‘COMPETETNT SUPERVISORS COURSE’ (Health Safety Environmental Training) working in hazardous industry. Received Affiliation from SBTET(State Board of Technical Education and Training), Govt. of AP for Conducting Industrial Safety 1 year and Fire Safety 6 Months Courses, wide SBTET/B1/0147/Safety/2013-14-04 dated 14/10/2014. Globally accredited, ISO 29990:2010 certified safety training and consultancy group.